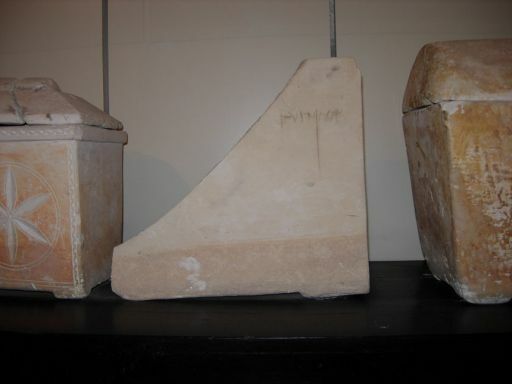 BlogHome » Blog » “Clarifying” the Dominus Flevit tomb part 3: The setting of the inscription. 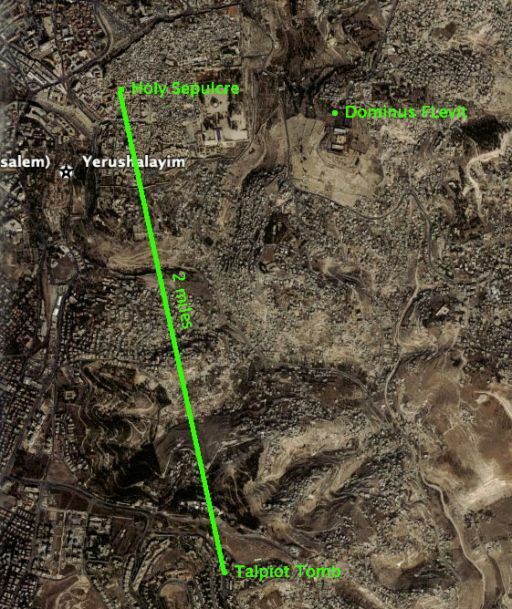 Locations of the Dominus Flevit and Talpiot tombs with respect to the traditional tomb of Jesus. 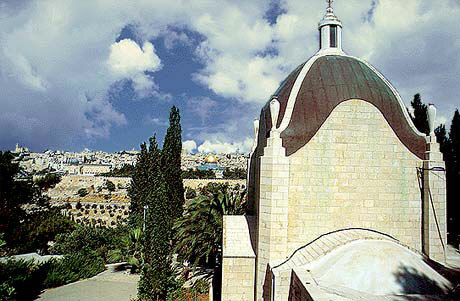 The Dominus Flevit Tomb Complex was discovered and excavated in the early 1950’s by Bellarmino Bagatti. The 6 dunam complex, the largest of its type, contained both late Second Temple period tombs of the loculi type, as well as third and fourth century tombs of the arcosolium and pit type. 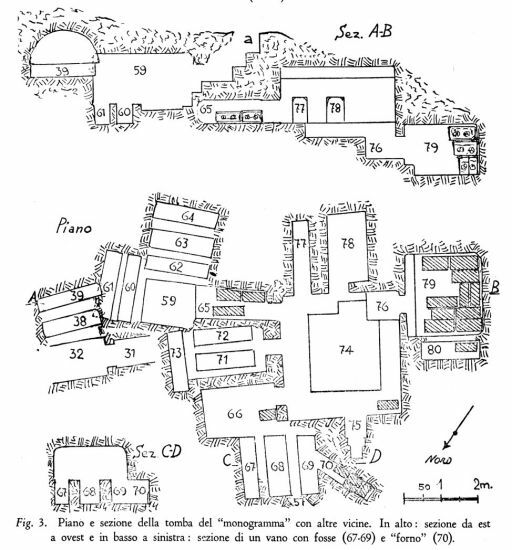 The loculi type tombs which covered, in particular, the north and southeast sections of the excavated area, generally consisted of one or two chambers, with a sunken floor, surrounded by loculi cut into the walls. More often than not, there is also a small chamber in each tomb expressly cut for holding ossuaries. 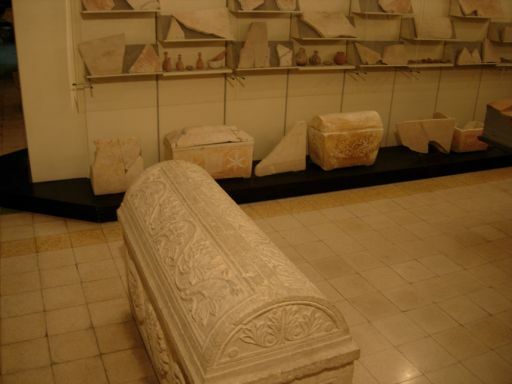 Seven hard limestone sarcophagi were found among the caves. These were often elaborately decorated with rosettes, wreaths and floral patterns. 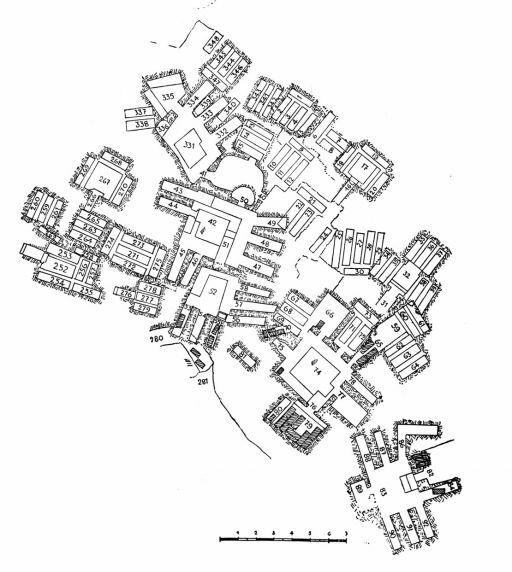 There was also a total of 122 ossuaries, often with the normal double rosette design, found in the various tombs of this complex. 43 of the ossuaries were inscribed with names. 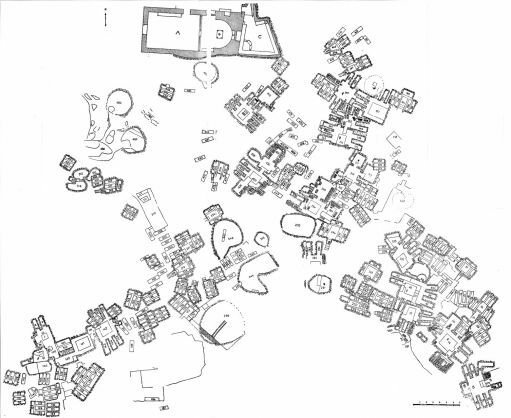 Bagatti ascribed names to the various tombs according to significant items which were found within. The tomb with the ossuary inscribed “Simon bar ….” was named after another ossuary with the XP monogram (also called “Christogram) inscribed on it in charcoal. In fact most inscribed ossuaries in this tomb were inscribed with charcoal, including the ossuary in question. The “Simon bar …” ossuary was found in a chamber (loc. 79) in the Monogram Tomb which was created to be a repository for ossuaries. Last Friday we returned to the Museum of the Flagellation where this and other important inscribed ossuaries from the tomb complex were on display. The “Simon Bar . 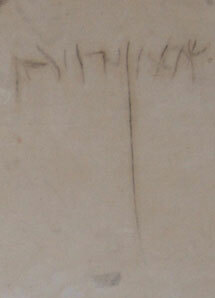 . . .” inscription as it looks today. Does this read “Simon bar Jonah” as the filmmakers of “The Lost Tomb of Jesus” assert?